For the past few years, the Board of Directors of CHI has undertaken several initiatives to raise the co-operative housing sector’s profile. It does this by promoting the successes of co-op housing and by facilitating networking opportunities among housing co-operative leaders at one or two symposiums per year. These initiatives are excellent opportunities for our members, housing co-op experts and developers to share best practices and discuss key issues. Co-operative Housing International held its plenary in Antalya, Turkey in November 2015. Eight positions were available on the board including vice-president, treasurer and six at large positions. Four of the elected board members are returning directors which means the other four are new to CHI. Some of our new board members might be new to CHI but they certainly are not new to housing. We feature two new board members in this issue. You can also read all of the board members’ biographies here on the CHI website. 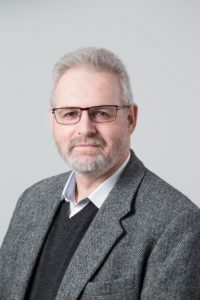 Blase Lambert has been a leading player in the co-operative housing sector for the last 18 years and is currently the Chief Officer of the Confederation of Co-operative Housing which is the national trade body for housing co-operatives in England and Wales. Blase believes the key challenge for housing in the UK is affordable supply with the UK government setting a target of building 1 million new homes by 2020. Housing co-ops can play their role by using the assets they currently have to help meet the demand for new affordable homes. Peter has been president of ABZ since 1995. ABZ is the biggest co-operative housing organization in Switzerland and is known for its innovative and sustainable communities. Peter is involved in a number of organizations active in social housing. 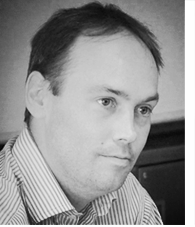 He is the Swiss representative of VisAndes a co-operative bank for micro-credits in Ecuador and president of the Swiss association NESTown which supports an innovative co-operative project in rural Ethiopia. CHI’s work plan for 2016 is available on the CHI website and therefore won’t be reiterated here. 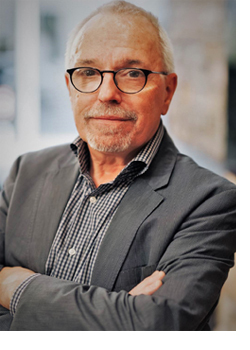 It can be summarized quite simply: through an active board of directors and dedicated staffing, we aim to deliver a program of work that is of relevance to our existing members, harmonizes with the strategic objectives of the Alliance, and promotes the growth of the co-op housing movement throughout the world. To achieve these value-added outcomes, the challenge has been to institutionalize the housing sector and develop the necessary momentum. For this reason, CHI has developed a longer-term strategic plan as a foundation for our 2016 work plan. Because there is a crucial role for the housing sector to play, and it needs to organize itself to be up to the task. And the task is a big one. The global housing deficit is a chronic multi-generational problem and represents a huge challenge for global actors in housing. There remains an enormous gap, in both the developed and the developing world, between the need for decent, affordable housing and its availability. This gap cannot be filled by market forces in the way that the prices of commodities are determined, for example, because of absent non-market intervention, the price of housing is largely determined by the one factor of production whose supply is fixed, land, and where the land is located. So how do we best deliver a non-market intervention? There are different ways that have been tried. Direct state intervention through the delivery of “public” housing was a noble policy goal in the 20th century. And in large measure it has failed. It has failed to create communities, it has failed in many instances even to house people safely and it has failed physically and ethically. These failures have come to be recognized by policy makers and we are seeing significant demolition and replacement programs as a result. Meanwhile, the number of people living in slums is headed towards 1 billion in developing countries, which are adding an estimated 70 million new urban residents each year. The supply and demand gap for decent, safe housing endures in all regions of the world. Simply delivering more market housing can help on the supply side, but not where there is no effective demand for market-priced housing from those whose housing need is the most urgent. To meet this need, a values-based rather than a price-based solution is required. Co-operative housing could have a large-scale role to play in providing the solution. The potential for co-operative housing as a non-market alternative is enormous. But it is a potential that remains to a large extent unrealized, although there are countries that have achieved positive, large-scale housing outcomes through the co-operative model. The broader ambition for Co-operative Housing International must be to raise greater global awareness of the role co-operatives can play in the delivery of housing solutions. Our task must therefore be not only to expand our membership to other regions where co-op housing now exists, but to introduce the co-op housing solution to regions where it does not exist. There are very significant national co-op housing sectors represented within the CHI membership but we are not broadening our reach as an international movement. If the housing sector is to help meet the Blueprint goal of making co-operatives the fastest growing form of enterprise over the longer-term, it is in regions where co-operatives are not part of the housing landscape that we must raise awareness and support fledgling co-op housing initiatives. In CHI’s strategic plan and action plan for the current year there are references to expanding global awareness of co-operatives as a housing solution. It will be CHI’s challenge to determine how best to do that – it is an ambitious mission to say the least. But we will also look to other Alliance business sectors and to its regions to advise us on how best to tell the co-op housing story. As the introduction to the Guidance Notes to the Co-operative Principles states, “Co-operatives are active in every sector of the global economy. A key distinguishing feature is that co-operatives create wealth for the many members of co-operatives who engage in co-operative businesses as service users, producers, independent business owners, consumers, and workers…” It is this defining feature that separates co-operative forms of housing from traditional market owner-occupier or investor-owned housing and creates the potential for community housing that is operated by and for the resident members and not for the purpose of profit, personal or corporate. 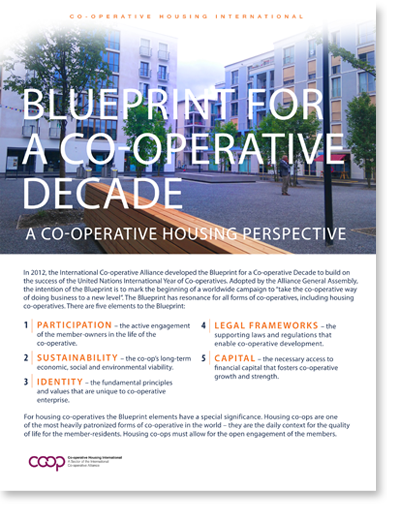 It is the job of Co-operative Housing International to raise awareness of the potential of housing co-ops as widely as possible. The intention of the Blueprint, as adopted by the Alliance General Assembly, is to mark the beginning of a worldwide campaign to “take the co-operative way of doing business to a new level”. The five key elements of the Blueprint are participation, sustainability, identity, legal frameworks and capital. The Blueprint has resonance for all forms of cooperatives. What particular relevance does it have for co-operative housing? It is an identifying characteristic of housing co-operatives that the members patronise their coops on a continuing, daily basis. The opportunities for participatory member engagement in the democratic and community life of the co-op are therefore readily available without over-taxing the members’ time and attention. As for the second Blueprint element, housing co-operatives seek to achieve economic, social and environmental sustainability. Housing co-ops must always take the long view in economic sustainability, placing a priority on financial planning and revenue generation. Housing co-ops also have the great advantage of being communities of place. As such, housing coops contribute to the stock of social capital locally, and in the aggregate, regionally and nationally. And we know that housing co-ops want to contribute to a healthy environment. As housing businesses that consume energy, co-ops have great potential to achieve that objective. When it comes to identity, housing co-ops have two advantages – it is easy for them to draw members together at voluntary events and describe the co-operative vision. Co-ops have a “storefront” presence in their neighbourhoods. They are visible reminders of the existence of co-operatives in housing. Housing co-ops need enabling legal frameworks for their establishment and corporate good-standing, for adequate governance structures, and for the establishment of the rights and responsibilities of members. As to capital, housing co-operatives have a distinct advantage in this environment. Because, in seeking sources of investing, they are in the process of becoming or already are owners of real-estate assets. They can potentially make use of a tool common to homeownership everywhere, real-estate financing and refinancing. The challenge is to secure partnerships with lenders who understand the nature of co-operative housing. The blueprint interpretation for housing is available in English, French, and Spanish and German. 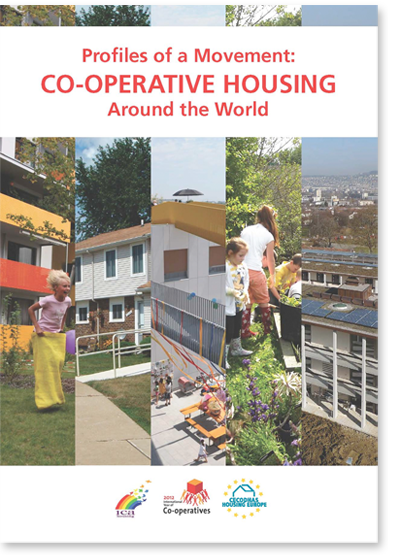 The results of a significant research project on co-operative housing were published in 2012 during the International Year of Co-operatives. The purpose of the project was to gather data and information about housing co-operatives in different countries. Although co-operative housing is widespread and has an impact on the quality of life of millions of people, our housing sector is still relatively unknown and uncelebrated. The published result of the research was Profiles of a Movement. Volume I and Volume II of the Profiles present the history and the current realities of co-operative housing around the world. Our goal for the Profiles is to inform our members and the general public about how housing co-ops work in other countries, to tell the story of the history of their development, and to describe the legal, financial and administrative systems within each country that enable – or hinder – how successfully they operate. This initiative, launched several years ago, is a work in progress and there are still many other profiles to complete as well as a number to update for the current profiles. We will be reaching out soon to ask you to update the information we currently have and we encourage you to help us with the important task of maintaining up-to-the-minute data on housing co-operatives. Why is this important? More data means more opportunity to be effective. As the saying goes, you can’t know what you can’t count. Together we can show how housing co-operatives have a positive impact in many different national contexts. Copyright © 2016 Co-operative Housing International, All rights reserved.